"The Book that inspires me the most"
I love books, all kinds, shapes, size and reading is my passion. Different books appeal to me at different stages of my life and one book stands out as my ultimate favorite because of a very special reason.The book is titled, “Who will cry when you Die?” This wonderful book holds a special place in my heart as this was the last gift my father sent to me before he passed away, and it has valuable treasures of wisdom to enrich people’s lives. The tragedy of life is not death, but what we let die inside of us while we live. –Norman Cousins. This book has enriched my life and made me stronger to deal with anything and everything coming my way. It teaches us that we are responsible for our happiness and we can change our lives and steer them in any way we want to go. I was never a risk taker but now for the past 17 months, I have done nothing else but this. I have conquered my fears of the unknown, failure, rejection and defeat, and am charging ahead in life, confident that I will succeed and even if I don’t sometimes, I will have tried to succeed. I will learn from my mistakes and try again and again and finally succeed. I have started taking the initiative and am confident that everything will work out for me and nothing can hurt or harm me anymore, I am unstoppable. I have cleared the mental clutter and it’s unable to drain my precious energy. I no longer think negative thoughts and am happy to be alive, life is for the living, and I am living it to the fullest. I am stepping out of my comfort zone and living an adventurous life. I have started a new project with a few friends and am learning something new about it every day. I have never had so much fun learning and working hard towards a cherished goal. I have promised myself that I will excel in my chosen field and hence am working hard towards achieving that goal. I have learnt to forgive and forget, can sleep much better at night and am at peace with the world. I have also developed a whole lot of patience with unsolved mysteries of the heart. I am taking it one day at a time and am confident that all will be well in the end. This book has taught me a lot, I have learnt to smile through my struggling tears, laugh in the face of adversity and stand tall when confronted with life’s innumerable stresses and problems. You become a better person in the process of reaching your destination, so I have started enjoying the journey to the destination and am sure that one day I will achieve my goals. Now then there are other blogs on this tour that just might have a book that may inspire you here is the list of blogs on the tour. Roy – http://royd-spiltmilk.blogspot.com/ this is where you are. I agree Sulekha…different books do inspire at different times in our life. Isn't it interesting that they show up just when you need them…to hear that inspiration….which then leeds you back to life. Lovely post! And we have shared many similar journeys. In fact, it was my dad's sudden death that pushed me back into writing, back into what I was truly meant to do. Also, much like you, I have resided in many places in the last ten years, but I have only really begun to live in the last two. It has been quite a journey and I am very glad to be where I am today. I read this book long ago…it's a high source of inspiration.Your father gifted you the book and he did the last thing he could have done to make you more strong.You will achieve if you believe in what you are doing. “It is not because things are difficult that we do not dare; it is because we do not dare that they are difficult.” Well said. Wonderful post as usual – I know the special significance this book has in your life. This is the one of the more special posts in your blog. Whose to say life's lessons are not enriched by books – they are a fantastic medium always.. I have that book and I read it often. It is a very inspirational book. I am glad it has turned your life around, Outlier. Keep smiling. I was inspired in reading what you gathered from reading this book. I'm definitely more encouraged and I must say, the topic of inspirational books could not have come at a more appropriate time as right now. What a gift you dad provided to you in giving you this book. I'm glad he shared it with you in order that you shared it with me. Thank you. You have inspired me to get this and read it. We all need inspiration for the many layers of our lives. this one is definitely going down as a must read! I can see why you like this book. Finding what you are really good at and taking calculated risks are an important part of life, and personal development. If we take no risks, we cannot grow past a certain level. Nice to meet you on the blog hop! I haven't read this book before but it sounds like a definite must read. Thank you Sulekha for the dose of inspiration and for joining the blog tour. @Roy, nice meeting you on this tour and thanks for the compliment. @Ravenmyth, yes they do show up at the right time. I found this book when I was losing my hold on life and it helped me tremendously to overcome all sorts of problems.Thanks for visiting and sharing your thoughts. @Charlie, yes happiness does depend upon how we perceive life and keeping our thoughts under control is very important.It's all in the mind…thanks and welcome to my blog. @Paula, so sorry for your loss and tomorrow is father's day. It was a tough time but this book helped and my memories of him too. Glad to have met you and welcome to my blog, come again,thanks. 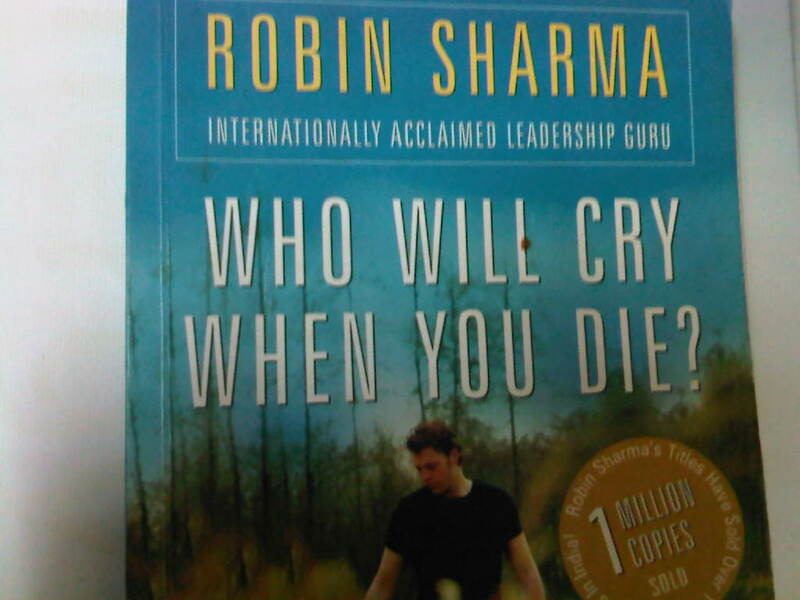 @Alpana, thanks friend and it is a gem of a book. @Aabhisek, father's know best..thanks for the compliment and faith can move mountains. @Mitr, yes you do know me so well that I feel a sense of Deja vu, sometimes. Books are a wonderful medium, thanks for your lovely compliment. @Outlier, thanks and you keep smiling too. Love this book and it's teachings. @Totsymae, welcome to my blog and thanks for your generous compliment. My father was a great man and he left me with so many wonderful memories and mantras for living a fulfilled life. @Shaeeza, welcome to my blog and thank you for trusting me and wanting to buy this book.You won't regret it. @Rachit, thanks and welcome to my blog, isn't it a great book? @Irfanuddin, Get a copy and see for yourself, thanks for the compliment. @ Sonia, Thanks, that's high praise, coming from such a great writer. @Pandora, thanks for letting me be a part of your blog tour. I have enjoyed my trip and meeting new friends and writer along the way. Wonderful post. I will definitely acquire your book. “The tragedy of life is not death, but what we let die inside of us while we live”… And THIS quote reminds me of another by Oliver Wendell Holmes: “Many people die with their music still in them. Why is this so? Too often it is because they are always getting ready to live. Before they know it, time runs out.” It sounds like this is what you are talking about Sulekkha. Live now and rejoice in every moment of life. What a wonderfully inspiring message. Sometimes I just need to remind myself of this. I've added this to my must read list after reading your post. It's wonderful to read about how this book has impacted your life in so many positive ways. I must read this book! What a wonderful gift your Dad left you. What a great quote by Cousins. Thanks for sharing. @Duane, welcome to my blog and appreciate your comment. @Debra, The book is a storehouse of wonderful quotes and inspiring messages.Celebrate life is the best teaching anyone can give and practice. @Leo Landau, welcome to my blog and thanks for the compliment. @Mari, thanks for appreciating my post and you won't regret getting this book, it's awesome like your photographs. @Sarcasm Goddess, welcome and thanks for appreciating the book. My father was a great man and I miss him a lot but his teachings and love stay with me forever. @Keiko, yes it is a great book..thank you for visiting and leaving a beautiful compliment.